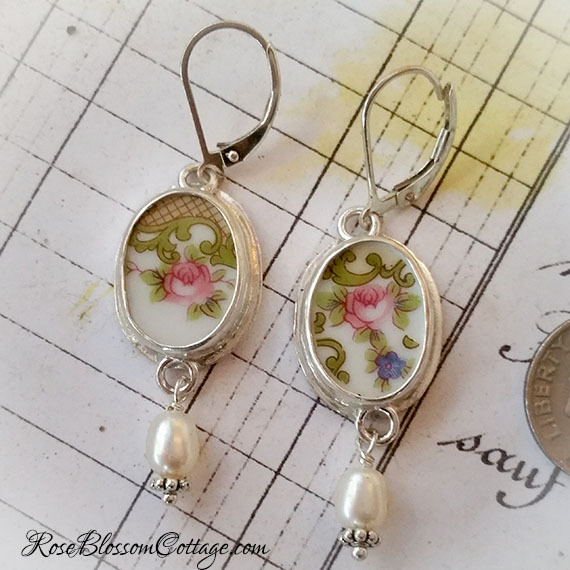 Sweet little oval earrings. 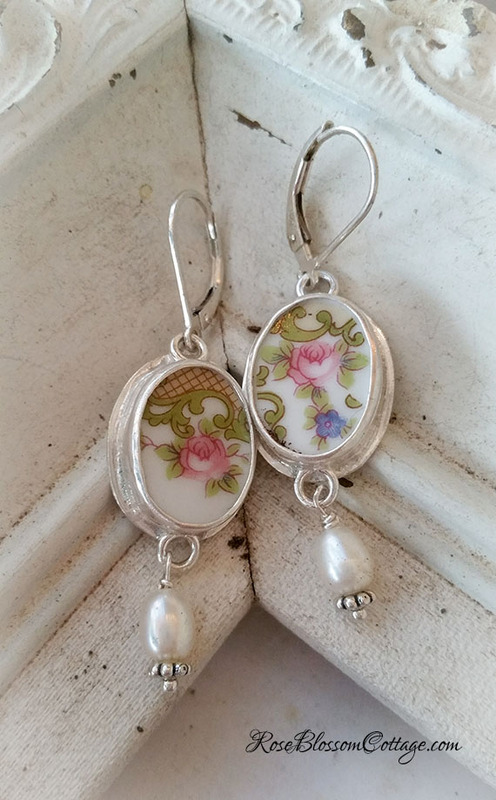 Antiques set in sterling silver. 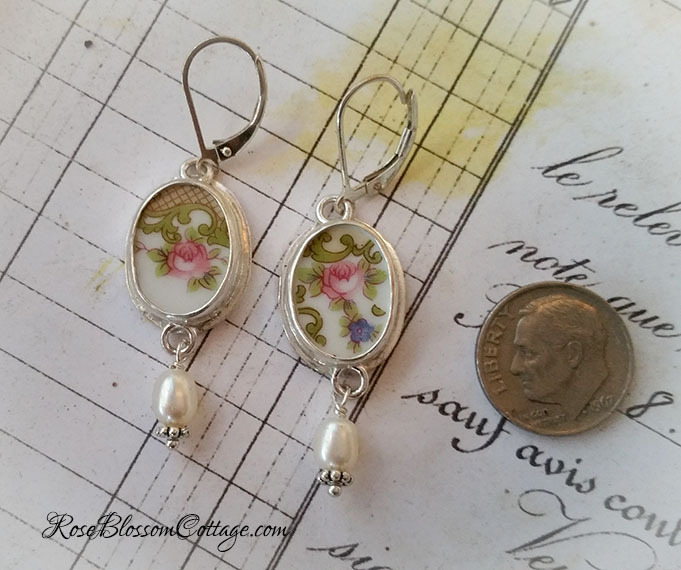 Freshwater pearls and sterling daisy beads on sterling pinning dangle from the bottom. Pattern has scrolling and pink roses. 5/8" wide. About 1 3/4 from top of the leverback to the bottom of the pearl.